Aidan is a Canadian Singer/ songwriter from Victoria, BC. For the past five years, Aidan has been playing around Victoria, pleasing crowds of many types. 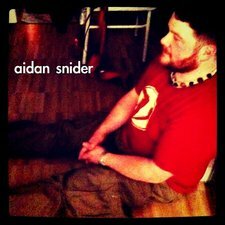 Lead by his love for people and his love for music, Aidan Snider delivers a healthy mix of genres. Such as Folk, Rock, Ska and Reggae. As a lively entertainer, Aidan more often than not, has everyone movin' to the beat as he tells the stories of his life!